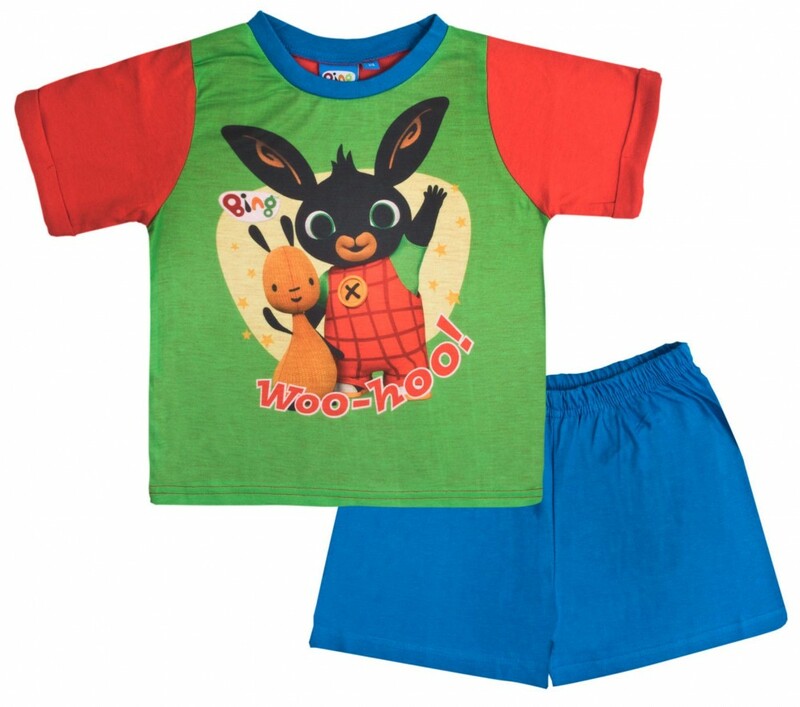 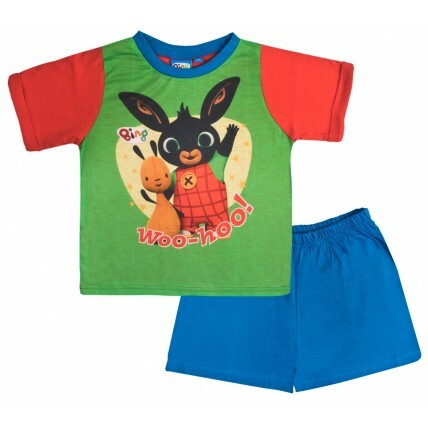 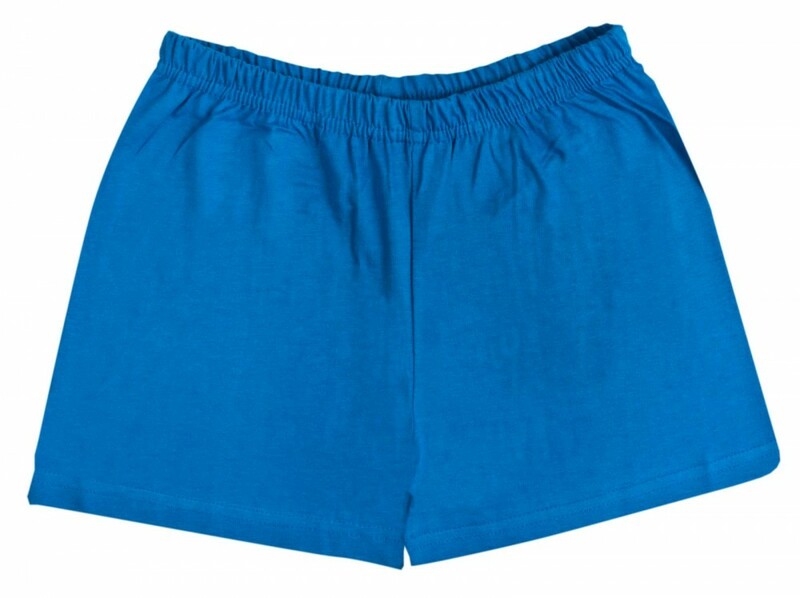 This official Bing Bunny pyjama set includes a short sleeve T-Shirt with matching elasticed shorts, perfect for keeping your little ones cool on warm summers nights. 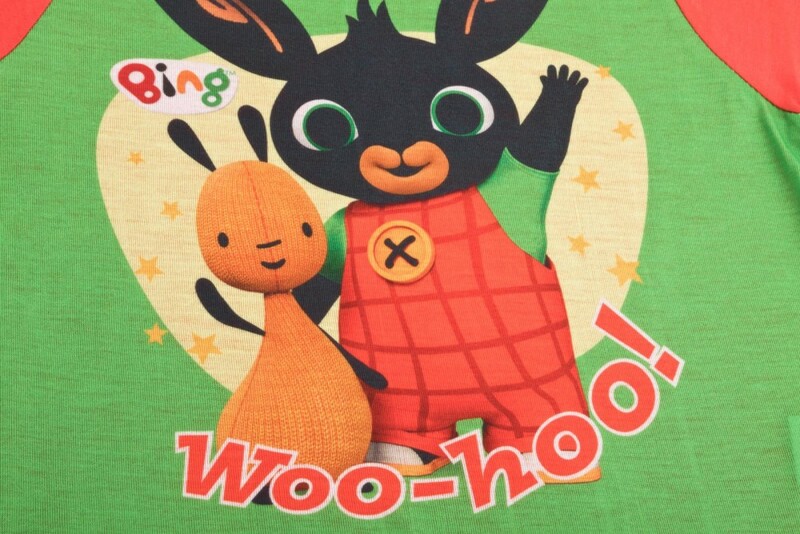 The set features a cute image of the main characters Bing and Flop from the popular Cbebbies series along with the logo Woo-Hoo! 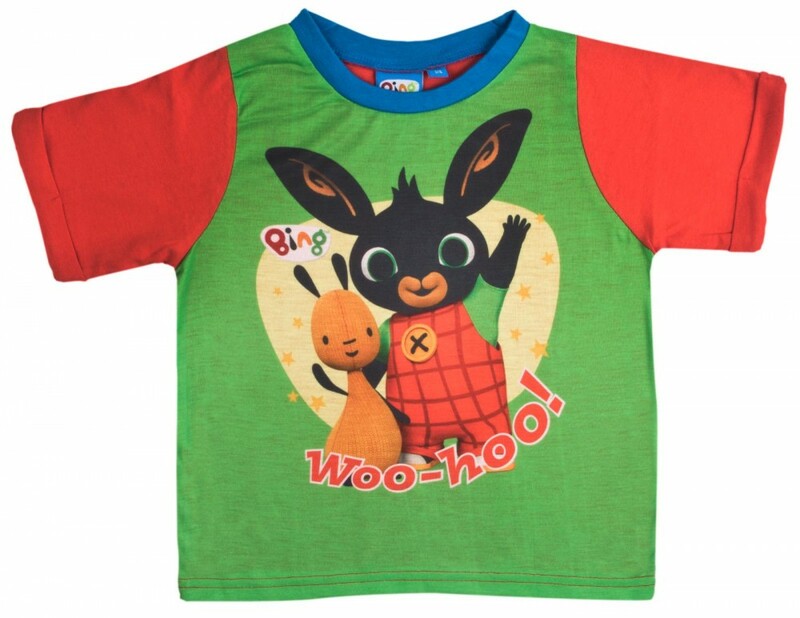 A perfect buy for any young Bing Bunny fan.